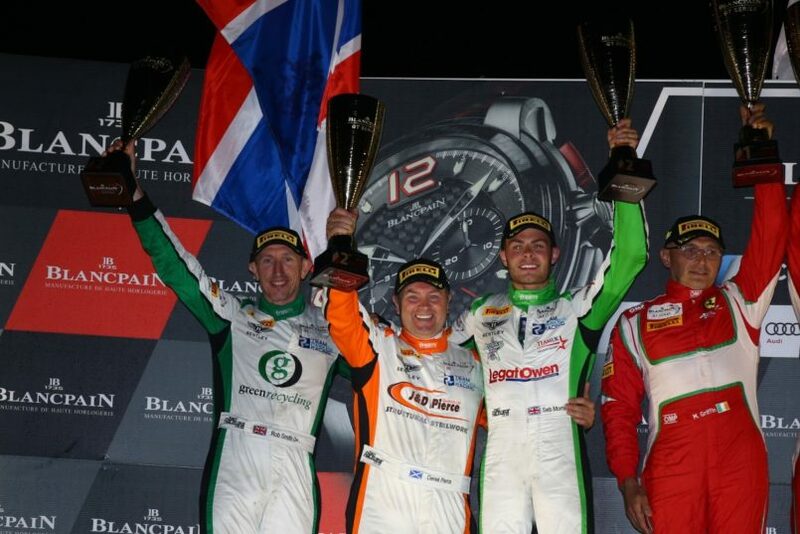 Seb Morris made a very welcome, and richly deserved, return to the Pro-Am podium during round three of the Blancpain Endurance Cup season at Paul Ricard in France on Saturday, 2nd June, with a fantastic second place finish in the six-hour ‘into the night’ race. 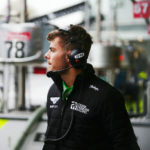 “It was a very tough race, we had quite a few problems during it, but to come away with second is fantastic”, said BRDC Superstar and MSA Team UK driver Morris, “When I jumped in for my double stint it was tough as I had to let a lot of people by who were fighting up-front in the overall battle, but in my second stint I got some good space and lapped as quick as anyone on track. Qualifying for the 1,000km contest began with Pierce taking the opening session, lapping with a time of 1m56.575 seconds, before Smith took over the Bentley for session two where he produced the fourth quickest lap of 1m56.113 seconds. Morris, looking to push for a top three starting slot for round three and more than capable of achieving it, was unfortunately badly baulked on his quickest lap of the third and final session and so had to settle for an unrepresentative seventh – his lap a time of 1m55.468 seconds. 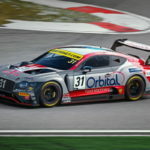 As a result of the combined three driver average from qualifying, the No.31 Bentley started Saturday evening’s race from fifth in Pro-Am and Pierce took stint number one. Driving well and making good progress under sunny skies, the Scotsman climbed his way through into third in class before being edged back to fourth. Smith took over driving duties for hour number two and he continued Pierce’s great start, moving the Bentley through into second in Pro-Am and running just over a second shy of the class lead as a podium challenge really began to solidify. 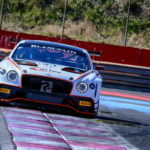 Pierce returned to the Bentley Continental GT3 for hour three, with the podium still well on course, and Smith then climbed back aboard once again where he went on to conclude the fourth hour of racing third in class. Morris, tasked with a big double-stint over the final two hours of the race under the night skies at Paul Ricard, joined the action third in Pro-Am and after climbing into second position the Welshman put a good gap between himself and the No.51 AF Corse Ferrari. Running very comfortably in second place, Morris made the team’s final pit-stop of the race with roughly an hour to go. With the aforementioned loss of time through the fire, though, when he rejoined the action he had roughly 25 seconds to overcome to the now leading Ferrari. Pushing hard to try and bring down the gap, Morris did just that. 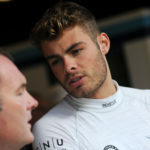 With 45 minutes to run he had closed to within 19 seconds and by the time the chequered flag fell at the end of hour number six, the reigning British GT Champion had gained another six seconds having lapped with searing pace. Impressively securing a fantastic runner-up spot in Pro-Am, matching their opening round result from Monza in Italy back in April, Morris, Smith and Pierce celebrated a tremendous result and now go to Spa-Francorchamps in July for the annual 24 Hour race brimming with confidence. There is now a lengthy eight-week break from Blancpain Endurance Cup action ahead of the blue riband Total 24 Hours of Spa in Belgium, which will take place on 28th/29th July. Before then, the competitors will gather at Spa for the officially timed test day on Tuesday, 3rd July.